President Maithripala Sirisena's dramatic move to sack Prime Minister Ranil Wickremesinghe and install former strongman Mahinda Rajapaksa in his place following differences over policy issues left the country without a functioning government for nearly two months. The year 2018 would be etched in Sri Lanka’s history as the most turbulent one politically as the cash-strapped country saw an unprecedented power struggle between the president and the prime minister, causing much concern in major world capitals, including in New Delhi. President Maithripala Sirisena’s dramatic move to sack Prime Minister Ranil Wickremesinghe and install former strongman Mahinda Rajapaksa in his place following differences over policy issues left the country without a functioning government for nearly two months. Rajapaksa’s return to power drew concern in India that China would tighten its grip on the country. 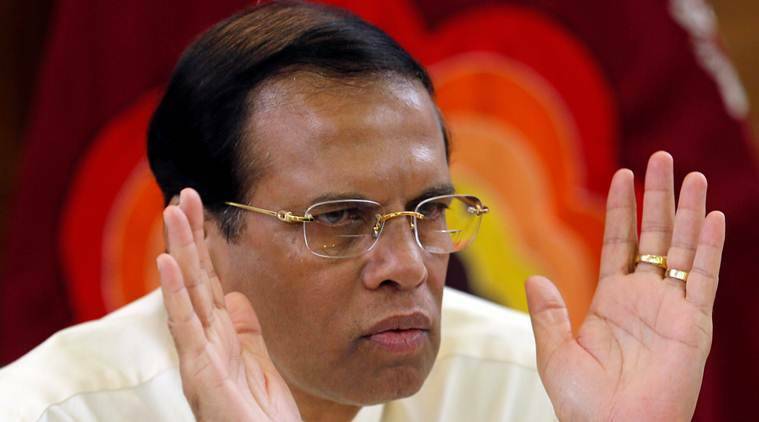 The veteran leader, who is credited for ending the brutal civil war with the LTTE in 2009, is under intense criticism for his decade-long authoritarian rule. However, a Supreme court verdict forced President Sirisena to reinstate United National Party (UNP) leader Wickremesinghe on December 16, ending Rajapaksa’s brief regime. During the political crisis, New Delhi sought to maintain a hands-off approach not wanting to be seen as taking sides. India chose to stay non-committal when Rajapaksa succeeded Wickremesinghe, who is seen as pro-India. Following Wickremesinghe’s re-appointment, India welcomed the resolution of the political crisis and exuded confidence that relations between the two countries will continue to move on in an upward trajectory. The US, the European Union, Australia and Norway also welcomed the peaceful resolution of the political crisis in Sri Lanka. Sri Lanka came closer to China under Rajapaksa’s decade-long tenure as the president, with Beijing pumping millions of dollars in the country’s infrastructure since the end of the civil war. However, some of the projects had been reversed under the Sirisena-Wickremesinghe government as Chinese debt hit the country’s economy. China sees Lanka as crucial in its ambitious plan to expand trade routes, while India is concerned about growing Chinese influence in the Indian Ocean. Despite India’s concerns over China’s forays in Sri Lanka, including its acquisition of the strategic port of Hambantota, New Delhi and Colombo kept their relationship warm in 2018 with high-level exchanges and signing of pacts. Prime Minister Wickremesinghe visited India in October and held talks with his Indian counterpart Narendra Modi on ways to deepen the bilateral ties. During the talks, Modi and Wickremesinghe reviewed the progress in the implementation of various decisions taken during the high-level exchanges in the recent past, including Modi’s visit to Sri Lanka in May 2017. They also discussed the progress of India-assisted development projects in the island nation. The two countries signed an agreement for construction of 1,200 houses through 50 model villages, using Indian grant assistance of 60 crore Srilankan rupees. The long-standing issue of fishermen, however, remained unresolved as India and Sri Lanka could not find common ground. Both sides have agreed to set up Standard Operating Procedures (SOPs) to expedite the release and handing over of fishermen in each other’s custody on completion of respective legal and procedural formalities. During the year, the Lankan economy grew at a slower than expected. The economy suffered due to the nearly two-month political turmoil that led to government dysfunction. Sri Lanka owes over USD 50 billion to foreign lenders, which is 77 per cent of its gross domestic product (GDP). The country has to pay back more than USD 4 billion of its foreign loans, which just got harder as the political turmoil has sent the rupee to its lowest ever level against the US dollar. Sri Lankan rupee weakened nearly 17 per cent this year. Though the reinstatement of Wickremesinghe has brought some hope in Sri Lanka, the political stability in the country in the coming months would be decided by how the prime minister and the president work together despite their differences over policy issues. This will also determine the path of India’s ties with Sri Lanka.